Prop Optimizer does not use any silicon or wax based products. What it does use is Smart Surface Technology (SST) leveraging a Nano Crystal coating, which at the molecular level, has the ability to fill all the microscopic nicks, scratches, and grooves in your propeller. Once applied, the coating is 9H in hardness on the Mohs Scale of Hardness (a diamond being 10H) providing a glass-like finish. 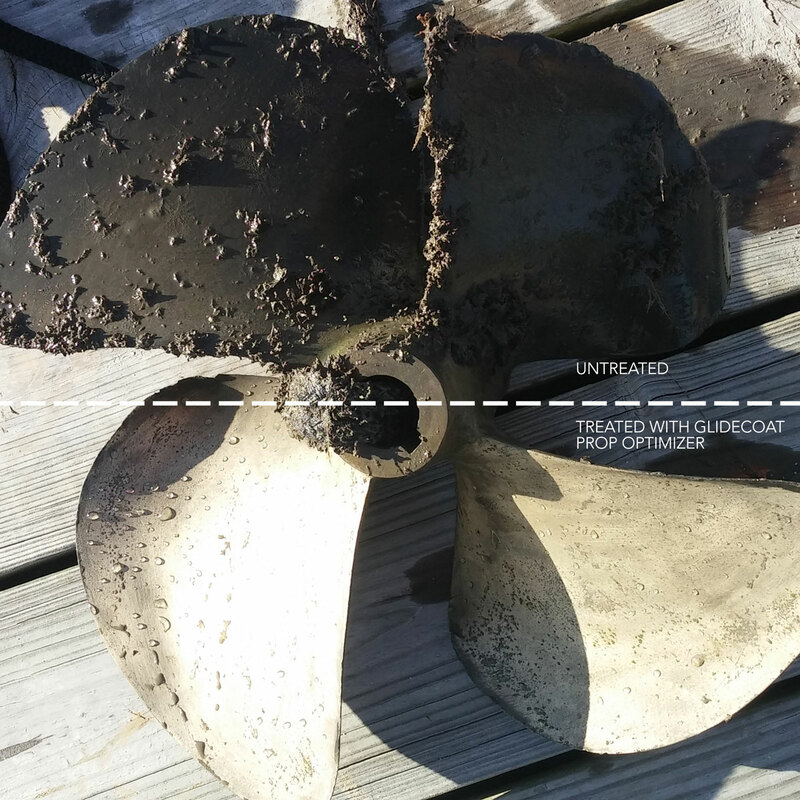 This equates to a smooth surface coating that barnacles and other marine organisms cannot attach themselves too, keeping your propeller and shafts clean and free of marine growth. Works with all types of propellers including Stainless Steel, Bronze and Nibral. If you require recommendations from our team on the size of kit to fit your needs, please do not hesitate to reach us at (561) 290-0165 and our team will be glad to help you. 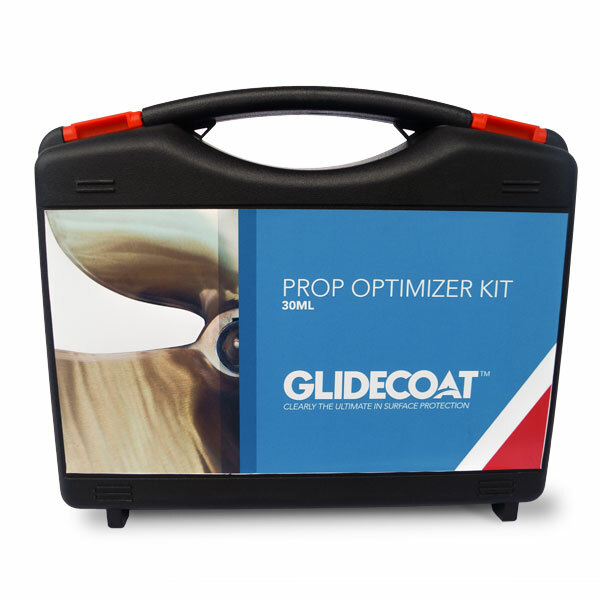 Download the Glidecoat Prop Optimizer Usage Manual. Remove any rust, oxidation and marine growth from surface areas to be coated starting with 120 or 150 grit sand paper. Go back over areas to be coated with 220 grit sand paper ensuring all areas are sanded including the bevel where the blades attach. Using protective gloves, apply Glidecoat Surface Wipe, wiping down all areas of the prop including the bevel and all blades. Repeat as needed to ensure all contaminates are removed from the propeller. Once wiped, do not touch the propeller with your bare hands, as it will leave oils on the surface, which will interfere with the coating. To apply Glidecoat Prop Optimizer, ensure the temperature is at least 50°F or 10°C. BOTTLE NEEDS TO BE WELL SHAKEN BEFORE USE. 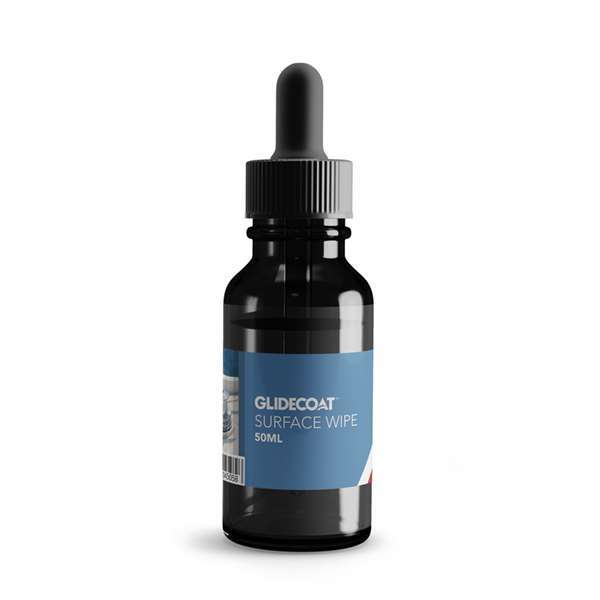 When the prop is dry from the Surface Wipe, apply a little of the Glidecoat Prop Optimizer to the application sponge and wipe across each blade, applying more Optimizer as needed to fully coat the blade and the bevel. After the prop has set for 10-45 minutes or when the prop is dry to the touch, repeat the application process again, going from blade to blade and coating all surface areas. This process will be repeated so that you have a minimum of 3 coats over the entire prop. More coats may be applied, but a minimum of 3 coats should be applied to achieve the desired results. 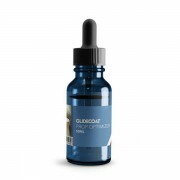 Glidecoat Prop Optimizer has a shelf life of 12 months and is good for 60 days after opening as long as it is kept sealed in either a refrigerator or in a freezer. Keep the bottle closed at all times as air/humidity causes the product to cure. Please ensure you use a mask, gloves and avoid any contact with eyes, skin and keep away from children. Where I live the water is shallow and we have a very sandy bottom. 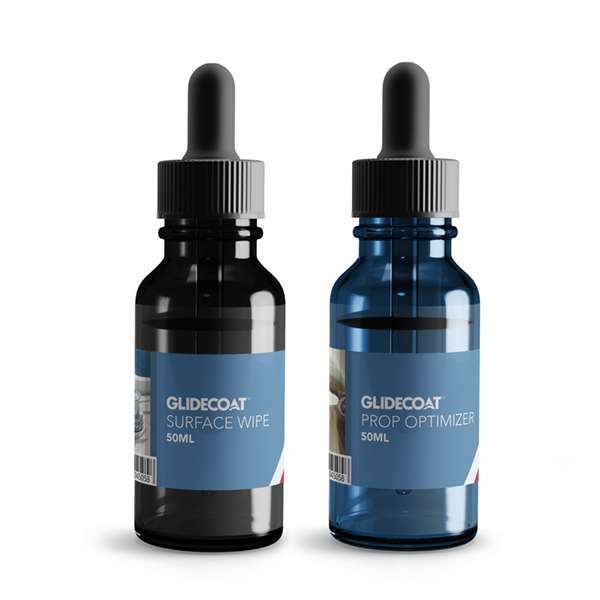 Prior to using Glidecoat Prop Optimizer the competitive product I applied would be removed given the abrasion from the sand within months. 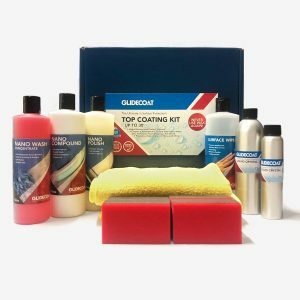 With Glidecoat, I lightly clean off the props when diving on the boat, removing any growth that has settled. After a year the props look as good as they did the day I splashed them a year ago.